Tim Voss taught physical education for 22 years at Trinity International University. Today he shares the story of how God called him to teaching, led him to Trinity after developing a program at Moody Bible Institute, and saw him through the most difficult moments of his life. Those difficult moments revealed just how present God. His daughter went in for a procedure and died a week before her wedding. The grief, Tim says, was heavy. Even in the middle of that experience God placed the right people to share his grief and give the right grace to him. And while the grief never goes away, time does “insulate you” from the rawness of the emotion. 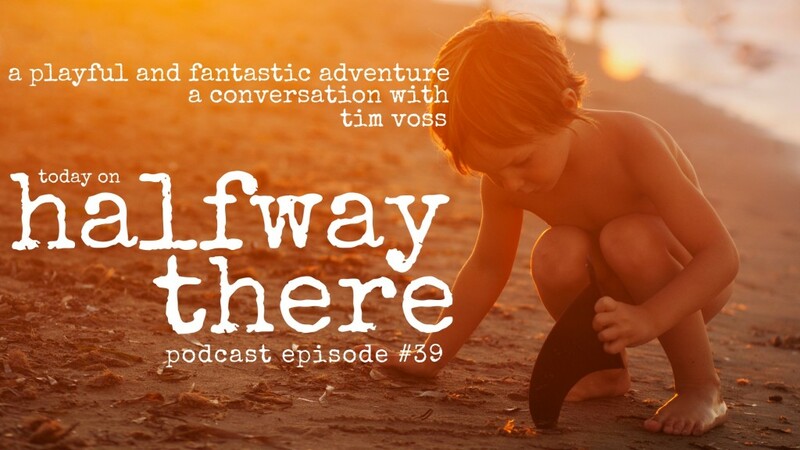 Tim tells us how God brought him to some physical, outdoor experiences that helped him heal. Tim Voss is one of those teachers whose work influenced the direction of my life and I can’t wait to share his story with you. Nowadays we rob a child in many respects from the breadth and depth of movement and freedom to become skilled in multiple activities. Sportsmanship is dying to gamesmanship. Don’t you want to come and join in this fantastic adventure with life this so precious? Every day is a gift and on your journey it becomes more and more sacred. Every day is richer and more beautiful. He opened his arms and I fell into his chest and his arms wrapped around me. This guy with this heritage of suffering entered into my soul, and these arms of Christ, and his tears, just wept. And we really didn’t say anything. That was the beginning of my journey back. The journey of the Christian is he becomes ever more aware of his sin and the incredible gift that God gave him.